Assembling a patchwork quilt, machine quilting, creating machine appliqué, and other types of sewing can be both meditative and fun. 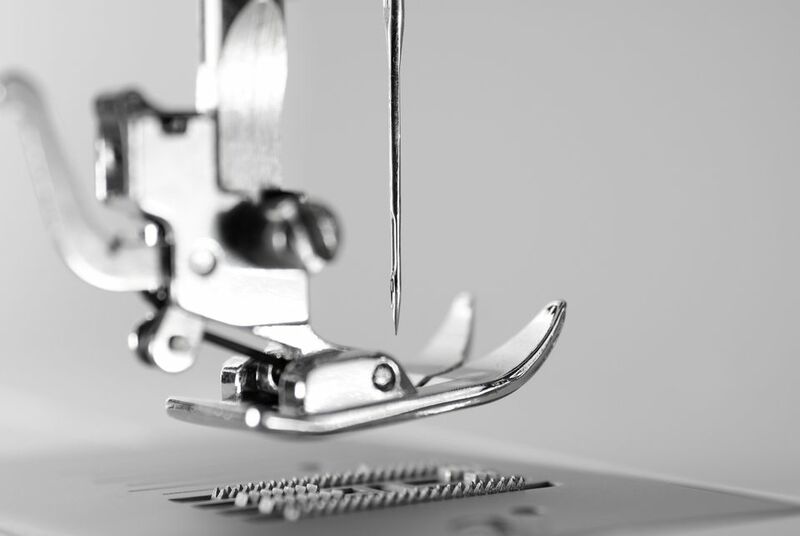 When you choose the right sewing machine needle for a project, your satisfaction and accuracy will increase tremendously because sewing with the correct needle minimizes fraying, broken threads, skipped stitches, and many other similar problems. Get familiar with needle characteristics so that you'll know how to choose sewing machine needles that work best for specific projects and with different types of threads. The type of needle is important. For instance, jeans/denim needles are made to sew through thick fabrics and universal needles are perfect for general purpose sewing, including patchwork assembly. Quilting needles have a slightly rounded point and are designed specifically for machine quilting. One of the most common sizes of machine needles is the 90/14. Its sturdy shaft holds up well when quilting through the layers of a quilt sandwich. The 90/14's needle eye is big enough to accommodate most types of thread. The eye of a needle is important, especially when using either a metallic thread (which frays easily) or a thick thread. The eye of Schmetz's Metallica needle is longer than a typical needle's, allowing the thread to move through the opening with less friction. Many other manufacturers offer similar sewing machine needles. Some types of needles are made to help you sew stretchy fabrics and there are more needle types for other tasks. Schmetz's Microtex needles have very sharp points and come in various sizes. Topstitch needles have a longer eye, which means more room for your thread to move as it passes through. You can use thicker threads with topstitch needles. It's important to experiment with needle brands to find your own favorites for different tasks because you'll find many needle manufacturers when you shop for quilting supplies, especially if you look at online sources. Visit your local quilt shop or other fabric store and browse the notions area to discover different types of sewing machine needles. Ask staff for advice if you're a new quilter and aren't quite sure which needles would be best for your project.